Cross-platform Web browser based on the QtWebEngine. Is there a better alternative to QupZilla? 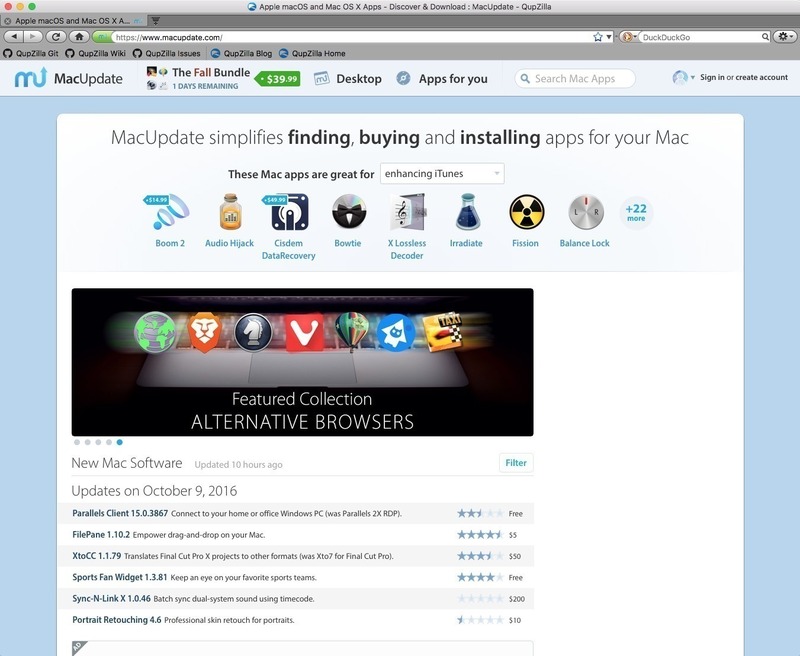 Is QupZilla really the best app in Browsers category? Will QupZilla work good on macOS 10.13.4? QupZilla needs a review. Be the first to review this app and get the discussion started! QupZilla needs a rating. Be the first to rate this app and get the discussion started! Native Look'n'Feel - QupZilla is using icons from the active desktop icon theme. If you find native themes too boring or have some problems with it, you can always switch to other themes.